Chairman of Warri South Local Government Area, Hon. Michael Tidi says members of Warri South Local Government Council executive were overwhelmed by what they saw at the Multimillion Dollar Multipurpose Youth Training Centre, Egbokodo in Warri South Local Government. Hon. 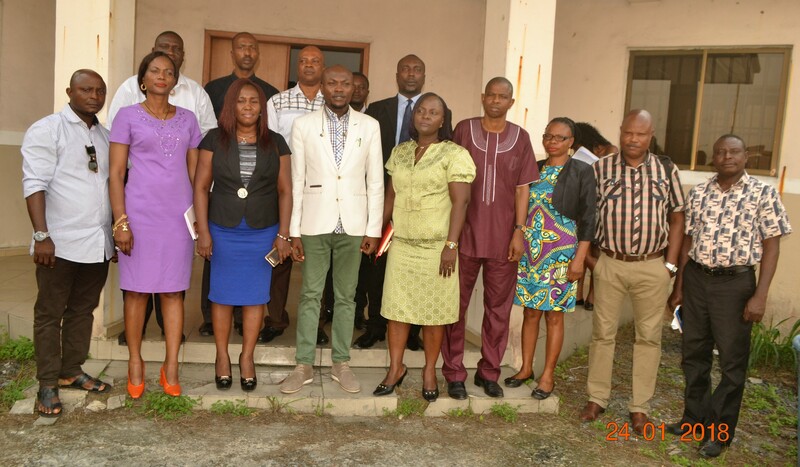 Tidi made the declaration Wednesday January 24 after the Centre Administrator of the Multipurpose Youth Training Centre, Ngozi Mogbolu alongside other management staff of the centre, formerly called UNOPS, Egbokodo, conducted him, the Warri South Vice Chairman, Mrs. Divine Ann Iniovosa, Hon. Victor Osanweren of the Council Legislature Arm as well as the Head of Personnel Management and Treasurer of the Council, Mrs. Remi Omatsuli and Sunny Otighi respectively, round the various departments of the institution. While noting that he was among those that advised Delta State Governor, Dr. Ifeanyi Okowa to re-open the centre, the Warri South Council Boss expressed the resolve of his administration to partner the centre as part of efforts to make youths in the Local Government more self-reliant. He commended the immediate past Governor of Delta State, Dr. Emmanuel Eweta Uduaghan for establishing the Multipurpose Training Centre and thanked current Delta State Governor, Dr. Ifeanyi Okowa for re-opening the Multimillion dollar institution, just as he praised Egbokodo Community for the safety of the centre’s equipment/facilities for the period it wasn’t operational. 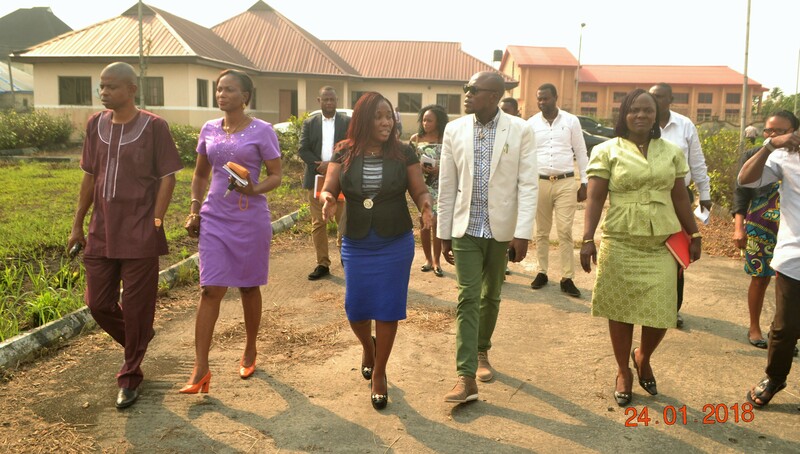 The Centre Administrator of the Multipurpose Youth Training Centre, Ngozi Mogbolu who was obviously delighted with the visit of the Warri South Council executive, disclosed that the institution has staff deficiency in some areas and solicited the assistance of Hon. Tidi in addressing the challenge. According to her, the centre which only resumed January 2018 after it was closed down for about two years, produced a couple of students in the first set that won National awards, even as she noted that the Delta State Government has taken absolute control of the centre for now, following the pullout of UNDP. Mogbolu expressed the desire of her management team to take the centre to the highest level and solicited the support of Warri South Local Government Chairman in the task of actualizing the goal. She explained that the purpose of setting up the Multipurpose Training Centre, originally built to accommodate 150 students, was for job creation and conflict prevention initiative, adding that Delta State under the previous administration was the first to complete the centre among two other States: Bayelsa and Rivers. 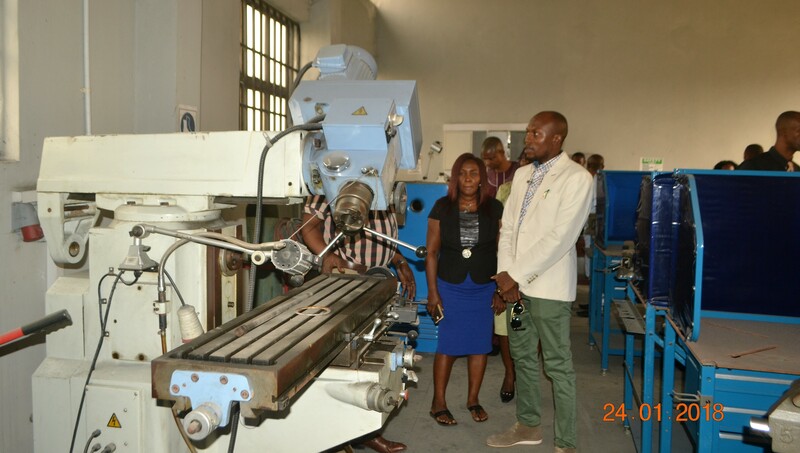 The Centre Administrator appealed to the executive of Warri South Local Government Council to assist the centre with clienteles, saying that the multipurpose training centre which is now fully commercialized, is ready to accommodate more students.